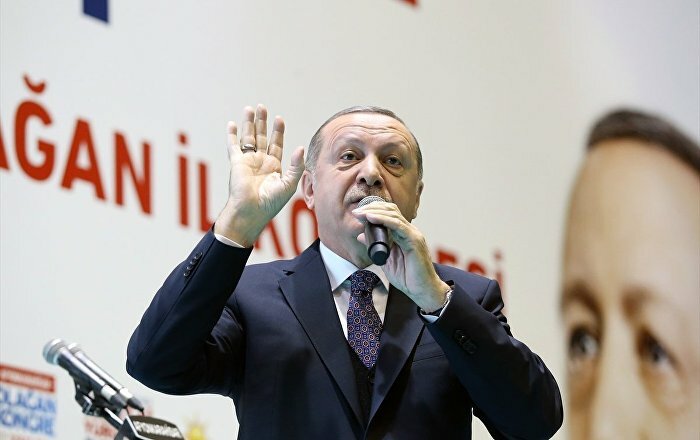 Turkish President Tayyip Erdoğan said that the U.S. had deceived Turkey many times since Obama during a speech he gave for the Ankara provincial congress of his party, the ruling Justice and Development Party (AKP), today. "Restraint, restraint, restraint... Even during (the Former US President Barack) Obama's presidency, we talked about the military operation now known as Operation Olive Branch. We were not deceived once or twice, we were betrayed so many times," said the Turkish strongman. The rift in the relation between the two countries started in 2014. Looking for partners as the Islamic State swept across Iraq and Syria, President Barack Obama pleaded with Mr Erdoğan to help in the fight against the militants. Erdoğan initially appeared to be refusing. Not being able to work with the Iraqi Army that was in shambles, or the Peshmerga, military forces of the federal Iraqi Kurdistan, the Americans reached out to the local Syrian Kurdish militias during Kobane war to help defend themselves against the siege laid by ISIS in late 2014. The Americans' use of the Kurdish forces soured their relationship with both Baghdad and Ankara, but at the time Pentagon stated that they had little choice. Erdoğan does not see eye to eye with his NATO ally, however, stated today, "We told the USA that we were willing to join the Rakka operation. We are strategic partners, (we warned the U.S. administration) that they cannot fight a terrorist organisation, with the help of another terrorist organisation. We said history will teach you that lesson" he said.